358 p., 15,5 x 21,0 cm. Edited by Ludger M. Hermanns. 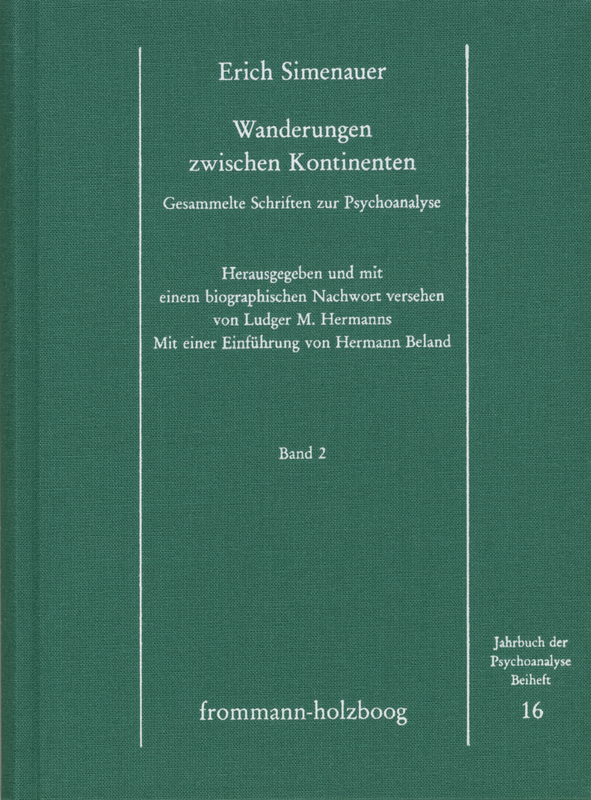 This edition is a collection of all the works written by the Berlin psychoanalyst Erich Simenauer (1901–1988) with the exception of his two monographs on Rilke. There are a total of 43 works written between 1949 and 1985, including not only the major late articles, which summed up his experiences as a researcher, theoretician and teacher, but also many of those works which have been almost inaccessible, among which are eight written in English which are available here in a German translation for the first time, and nine previously unpublished texts from his literary estate.